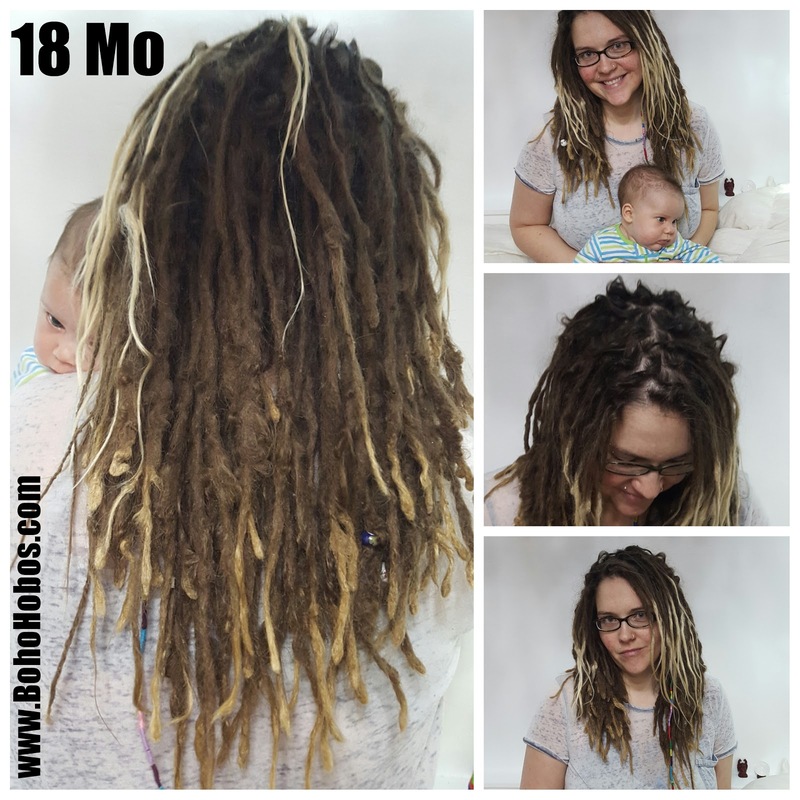 The Boho Hobos: 18 Month Dreadiversary!!! HAPPY 18 MONTHS DREADIVERSARY TO ME!!! 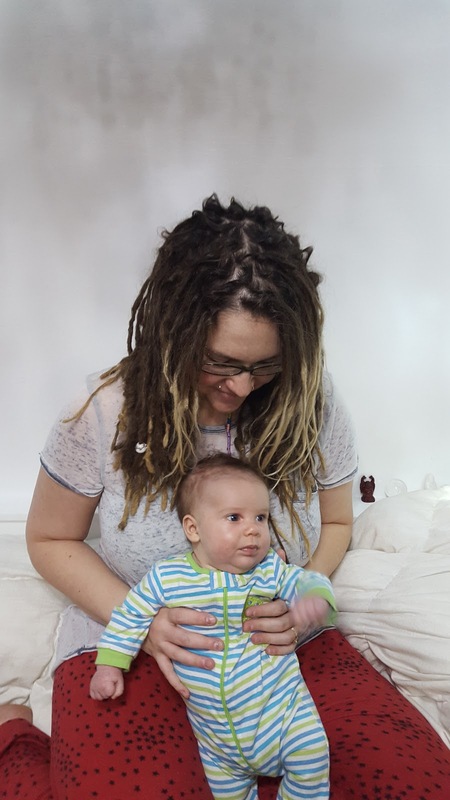 Seeing as how I have a baby now, I don't have all that much time to blog these days, so I will keep this update post short and sweet. 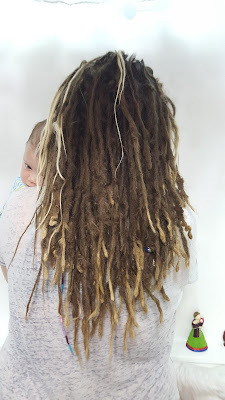 My locs turned 18 months old today. I still love them just as much today, as I did the day I started them...possibly more, as they have matured quite a bit these past months. I have learned a LOT about patience this past year and a half. They have boosted my confidence because, I realize lots of people hate them. But I LOVE them. And what I think is all that matters. So they have taught me to be true to myself, love myself the way I am, and not give a damn about others' opinion of me. Here are the most recent pics of my babies...and my other baby, too, who is doing marvelous, by the way. He actually likes them a lot, it would seem. He is always trying to rip them out of my head, haha! Before and after maintenancing my out of control bangs. HERE is the post from the week I started them, in case you are new to my site and wanna know more. 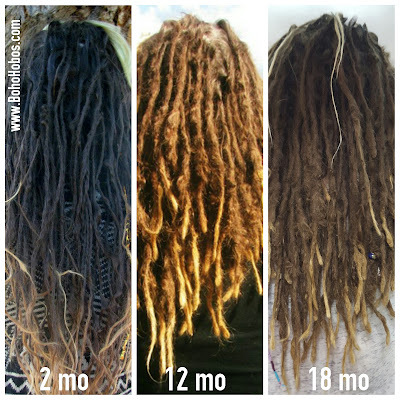 At the end of that post, are links to all 12 of the monthly progressions. It took me a week to do them. 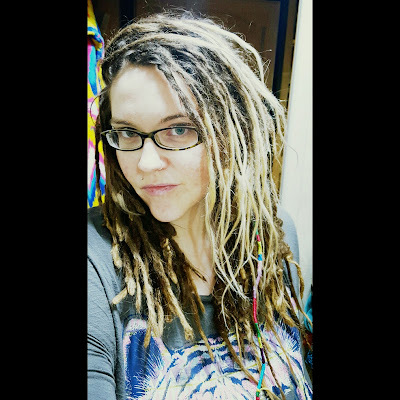 I had to brush them out 3 days in and start over though, because my sections were too big. After that, just 4 late-nighters, and I was set. I used the twist and rip method. Up until recently, the only thing I did to them was wash and separate. 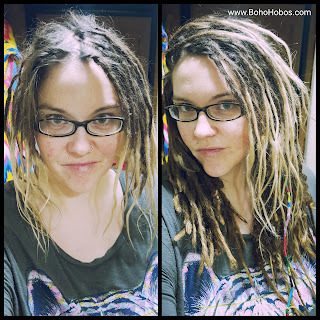 I got sick of my overgrown, straggly bangs the other day and crocheted all the loose hairs back in, though. 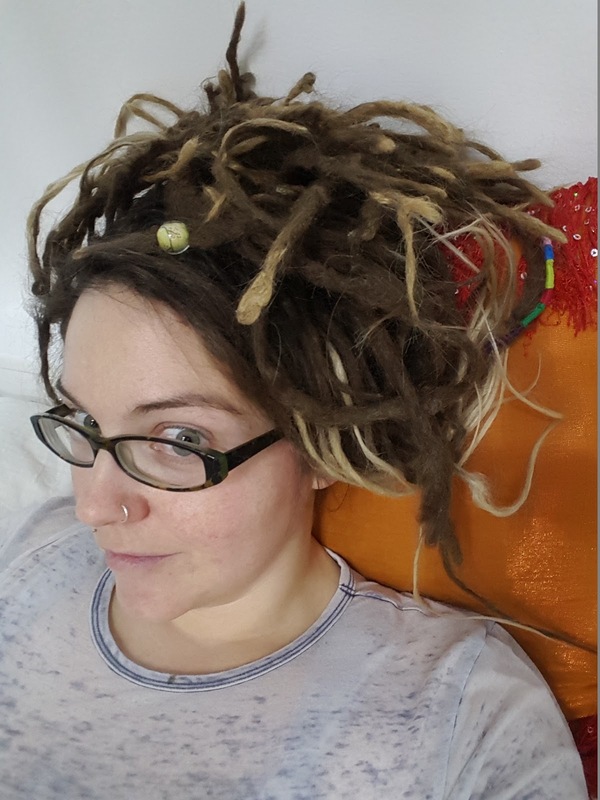 I love the outcome, and soon, when I find the time, I will crochet all the rest. But that day is not today.